You will find there’s very good reason why we have aligned our CSR strategy with our friend the humble bumble! We Commit to… Be… mindful of our social, cultural and environmental responsibilities. Be… risk-aware and apply due diligence to minimise any adverse effects. Be... constantly vigilant in our ethical sourcing. Be… fully accountable in all aspects of our relationships. Brand Impression believe in delivering great products, services and value to clients. Our internal processes have been refined to ensure that the best possible product is sourced at the best price, the right supplier is selected , the most suitable branding solution is put into place, rigorous order progressing procedures are followed and deadlines are met. Brand Impression also deliver products and services specifically aligned to print management and direct mail requirements. We offer end-to-end solutions that cover the design of the materials in question to managing the distribution element to the project. We have the added advantage of being able to advise on branded merchandise particularly suited to direct mail and other print based marketing campaigns to further enhance the strength of the messages to be relayed. Brand Impression can design and build bespoke e-commerce portals with the ability to enable wholesale enterprises to supply subsidiary units or business partners. Alternatively we can simply build a branded online shop, providing a dedicated online outlet capable of fulfilling a large range of retail requirements. We also manage the fulfilment and storage elements of e-shops for a number of clients who wish to keep control of the customer service element. Please call us to learn more about how Brand Impression can help to centralise and simplify the procurement of promotional merchandise. Want something no-one else has? We have provided many brands with new and innovative concepts to help them to make an impact on their marketplace. Our creative team can design a bespoke product from scratch. Once we have a detailed brief, we can design anything from a new ‘on trend’ object to a clothing or accessory range. With Dutch roots (having lived in Holland until the age of 18), Katherine has over 10 years’ of commercial experience beginning her career in recruitment after graduating from Exeter University with a 2:1 in English. With over 8 years’ experience in dealing with client account management and development, Key skills include business development, brand marketing, ecommerce and client services management. Katherine set up Brand Impression after several years in the promotional merchandise industry as she saw a gap in the market for a progressive, online-based, international distributor. Interests include anything to do with music & dance. Spare time is mostly spent having fun with her two little girls, Issy and Georgie. Tom has over 5 years’ post graduate commercial experience, gained within sales, working almost entirely within the promotional merchandise industry. Graduating from Derby University with a 2:1 in Sports Science, Tom moved into product based sales. He went on to develop over 3 years of internet/ecommerce experience that culminated in his being recruited as a Sales Director for an events and promotional merchandise distributor in the UK. 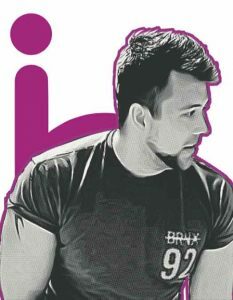 Having been instrumental in developing a new online division from scratch elsewhere, Tom decided to set up Brand Impression with the intention of creating a trailblazing online branding company. Interests include rugby, travel and anything to do with food. 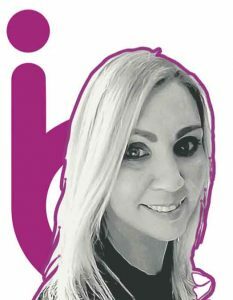 Amanda joins Brand Impression as Order Progress Manager on a permanent contract after initially working for us as a contract credit controller. 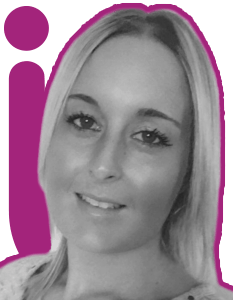 Amanda has over 8 year’s commercial experience spread across the finance and promotional merchandise industries with approximately 5 years at Worldpay as a Team Leader within the payments team and over 3 years’ experience working within credit control, accounts and order progression within the promotional merchandise industry. Interests include anything to do with horses and riding horses whenever she gets the chance. When Amanda’s not at the stables, she dedicates all her free time to her little boy Charlie. With 13 years creative services experience, previously heading his own creative department for an International multi-channel retailer. 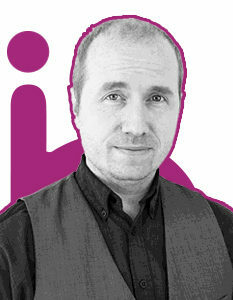 Kevin brings creative insight from basic art-working to grand events/exhibitions and everything in between. His role of Design Manager with Brand Impression sees him taking the lead on all print, packaging and design projects and supporting the team on job specific artwork requirements such as 3D visual mock-ups and merchandise branding designs from scratch. Interests include anything to do with design and travel. 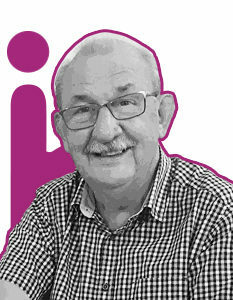 John began his career in engineering and moved into the recruitment industry after a number of years working on high profile design engineering projects all over the World including the UAE and Indonesia. With over 20 year’s experience in finance, operations and business strategy for large, complex organisations John brings with him a wealth of experience that is of huge benefit to Brand Impression. John leads our financial planning and contributes significantly to our business strategies from a financial and operational perspective. In his personal time he will either be found with his guitar or a glass of wine in his hand, ideally both. Mr Bobble mostly engages himself with protecting the boundaries of the office environment, stealing people’s lunch and liaising with delivery drivers. 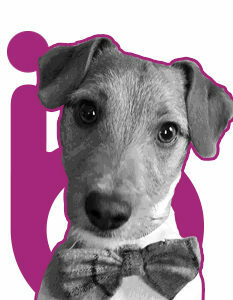 Mr Bobble is an integral cog in the Brand Impression machine and can, on special occasions, be seen in a tweed bow tie.